Can you can open a door remotely without changing the mechanical lock that’s already fitted? The answer is very simple: just install an electric striking plate. Let’s see how! In many circumstances there is the need to open a door without having to physically reach it. 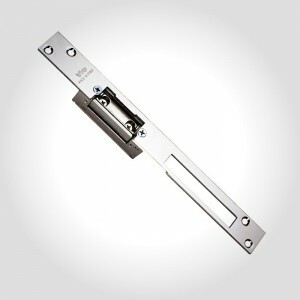 Whether it is an office, a shop, a studio, or, as in this case, the door of a condominium, it is always possible to electrify the door of a common mechanical lock, without modifying it. In fact, in situations where it is not possible to fit an electric lock, due to lack of space or for aesthetic reasons, installing an electric striking plate it is the most suitable solution. The only action required, in addition, obviously, to the electrical connection, is the replacement of the striking plate on the door jamb, with one which houses the electrified part. In this way, the opening of the lock can be controlled by a pushbutton located in the most convenient position. How does one install an electric striking plate? It is generally preferable to use reversible striking plates. They are convenient because they can be adapted to both right and left-hand doors, for pulling or pushing, simply by installing them in one direction or the another. In this case, straight type striking plates are used (so-called “front plates” of the electric striker). Both in the case of a new installation and for work on an existing lock, the finish of the front plate of the striker should preferably match that of the lock, e.g. brass-plated, nickel-plated or stainless steel. 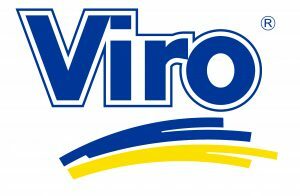 For this reason Viro front plates are available in different finishes. But an electric strike is able to do much more than simply remote opening. In particular, there are 3 very interesting advanced features, and we will look at them in detail in a future blog. This entry was posted in electric strike and tagged products, technology, tips on 17 January 2017 by calessandrini.